Offering you a complete choice of products which include Maxon Gas Valves and Oil Valves such as Shut Off Valves, Ratio & Flow Control Valve and Oil Flow Valves. We supply a wide range of Flow Control Valve.MAXON flow control solutions keep thousands of plants and products moving every day. With a wide breadth of solutions from intelligent mass flow control to economical mechanical control, our flow and ratio control valve products provide dependable, accurate control of air and fuel world wide. 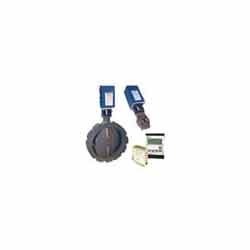 We invite you to browse the following product information for your flow control needs. We are offering a wide range of Shut Off Valves.Performance, reliability and durability: 3 reasons MAXON valves have been the leading choice of industry since the 1920's. MAXON gas valves are the only fuel shut off valves with metal-to-metal seats that "wear in", not out. Powerful closing springs provide a reliable closing force for assurance of safe fuel shut off. 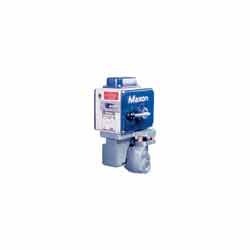 The natural guillotine action of MAXON shut off valves add a self-cleaning stroke to the valve operation. Pressures up to 600 PSIG (41 bar).